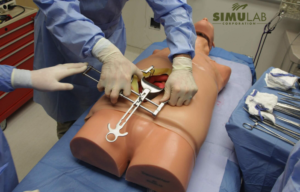 Simulab Corporation is a medical simulation company that specialized in soft tissue task trainers, mostly in surgical simulation. The Seattle-based company’s most notable product is a surgery simulator called TraumaMan, which was first developed in 2001 for use in Advanced Trauma Life Support (ATLS) training programs, but is now used worldwide. Simulab focuses on creating realistic human anatomy with easy to setup and teardown training tools. The company works closely with leading medical educators to develop their vast array of healthcare simulation task trainers. Through realistic medical simulators, Simulab is able to immerse learners into simulated experiences. 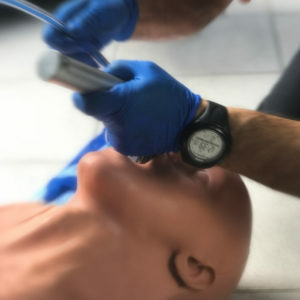 TraumaMan is a flexible training platform for teaching six different procedures, including Cricothyroidotomy and Chest Tube Insertion. 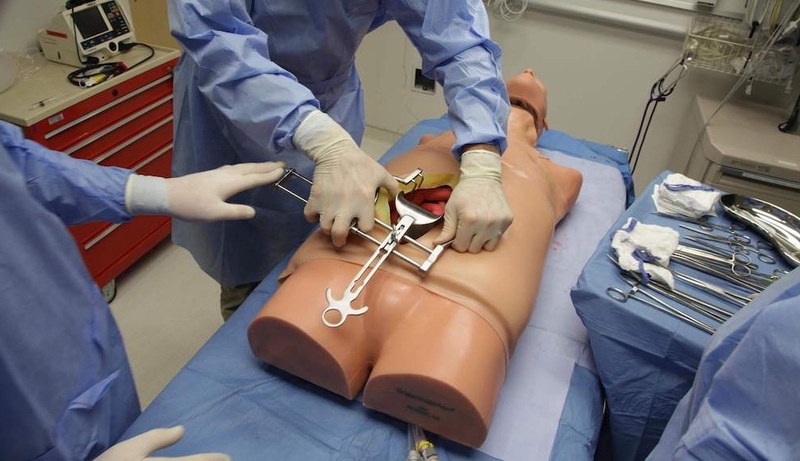 Since its release, TraumaMan has also become widely used in military courses, EMS training, and other trauma surgery simulations. More than 35,000 clinicians in almost 40 countries use TraumaMan each year to train on advanced surgical skills. 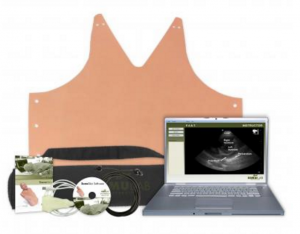 In addition to TraumaMan, Simulab also offers a complete line of task trainers that offer medical training programs realistic, durable and affordable tools for highly effective training. This includes central line trainers like CentraLineMan and VascularAccessChild, partial task trainers like the Lumbar Puncture Trainer the Paracentesis Model, an array of laparoscopic trainers, and various tools to improve suturing and knot tying skills. Simulab has also more recently developed a pediatric surgical simulator called TraumaChild and ultrasound responsive models with SonoMan and SonoMom. Their latest trainer is another world’s first: PacerMan, for high-fidelity immersive transvenous pacing simulated learning. Introduction to Simulab – Meet the company’s COO Doug Beghile and hear from top clinical educators about why Simulab is the company to work with. Simulab Launches World’s First Transvenous Pacing Simulator – This IMSH 2017 Video Interview showcases the latest innovative high-fidelity transvenous pacing simulator from Simulab! LSU Hospital OR Ex-Lap In Situ Using TraumaMan – Watch a surgical team repair a nicked aorta and insert a chest tube during an in situ medical simulation OR scenario! 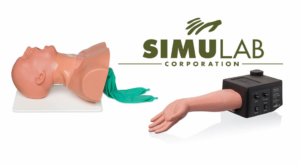 One TraumaMan trains 200 healthcare professionals a month – Learn how Simulab products can train cost effectively through efficient skin changes for technical staff at the accredited Northshore University simulation center! CentraLineMan Proven to Reduce Infections & Hospital Costs – Learn how the CentraLineMan was successfully used in this Feinberg School of Medicine research project for better residency performance outcomes. TraumaMan Product Breakdown – Learn about the features of TraumaMan and the new surgical abdomen addon. Watch real time procedure cuts and see firsthand the realism of Simulab skins. CentraLineMan Product Breakdown – Watch the features of the CentraLineMan during “first-cut” experiences to witness the realism of Simulab skins and training procedures. HealthySimulation.com is dedicated to providing the latest Simulab news and #MedSim resources from around the world. To follow along, sign up for our free medical simulation email newsletter, follow @HealthySim on Twitter and @HealthySim on Facebook, or join our HealthySim LinkedIn Group!